It's a sad day. 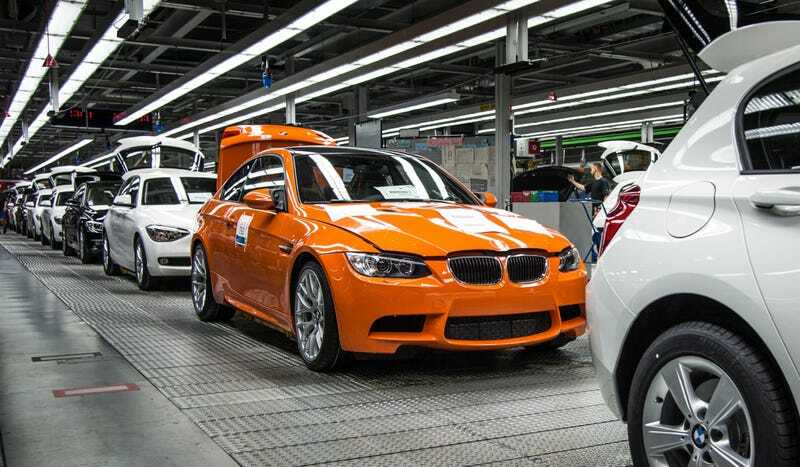 The last E92 BMW M3 Coupe has rolled off the production line. That doesn't only mean it's the end of the current M3 Coupe, it's the end of the M3 Coupe forever. Next year, the 3-Series coupe will be replaced by the 4-Series, as BMW continues its new tradition of naming coupes with even numbers and sedans with odd numbers. But that means the M3 Coupe, arguably BMW's most legendary, well known, iconic (I hate that word too), and versatile performance car has now gone off into the distance, never to be heard from again. Sure, I bet the nameplate will live on with an M3 sedan in the next year or so, but that really isn't the same thing. The E30 M3 was a coupe, that started it all. The E36 came in coupe and sedan, but you really wanted the coupe, didn't you? The E46 M3 was all coupe, all-the-time as far as I'm concerned. It's the end of an era. This final bright orange M3 Coupe is it. We'll miss you old friend.